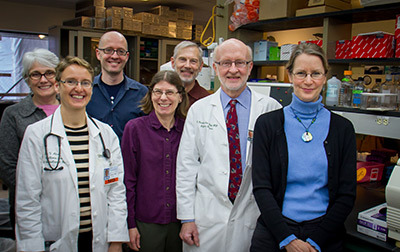 The DarDar Program was established in 2001 as a research collaboration between Geisel School of Medicine at Dartmouth and the Muhimbili University of Health and Allied Sciences (MUHAS) in Dar es Salaam, Tanzania and has subsequently grown to include training programs (Dartmouth-Boston University Fogarty) and clinical care programs (DarDar Pediatric Program). DarDar mimics the Kiswahili word for sister, “dada”, and connotes the strong bond between the two institutions. Tuberculosis (TB) is a major cause of death worldwide, and the number one cause of death in persons with HIV infection. Drug-resistant TB, an increasingly global epidemic, requires prolonged treatment with toxic, expensive drugs. BCG, the only vaccine currently in use for prevention of TB, is very effective for the first few years of life, but loses efficacy after 10-15 years. Booster immunization of adolescents or adults with a repeat dose of live BCG does not increase protection (presumably because the immunity induced by a priming dose of BCG reduces replication of a booster dose). Therefore, development of an effective booster TB vaccine for the world is a major international health priority. Modeling indicates that an effective booster for adolescents and adults will have a greater impact on disease than an improved BCG for infants and is the only strategy that can be expected to meet the global target of tuberculosis elimination by 2035. New rBCG vaccines being developed for infant immunization may benefit from a strategy that includes an inactivated booster vaccine (i.e., a vaccine that does not require replication) for adolescents and adults. More than 30 new TB vaccines have entered development over the past twenty years. Several have failed; others are have not reached the clinic; a few are in early stages of development. The only new TB vaccine to have shown efficacy in humans in a fully-powered Phase 3 trial (NTC00052195) is the booster vaccine being developed by investigators at Dartmouth College. 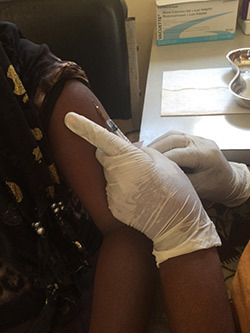 The DarDar Trial, a 7-year, 2,000-subject rigorously designed trial conducted in Tanzania and sponsored by the National Institutes of Health showed that SRL172, a inactivated, whole cell vaccine prepared from an environmental mycobacteria, was safe and effective in persons with HIV infection (von Reyn et al AIDS 2010; 24: 675-685). 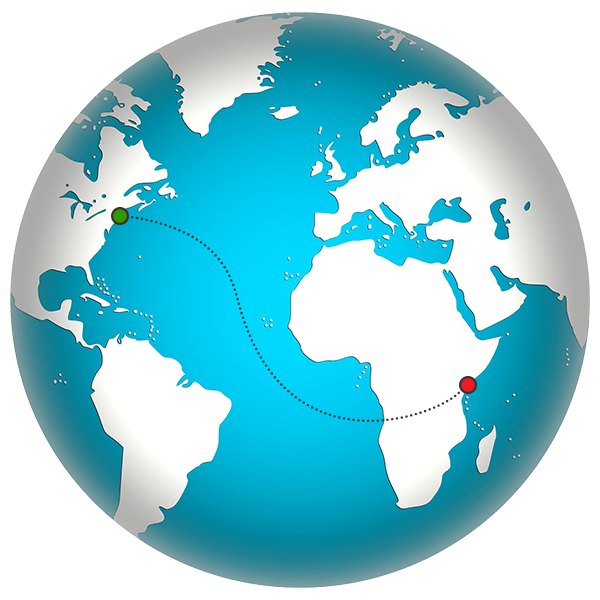 In 2013, Dartmouth College obtained from Immodulon (London) an exclusive, transferable, worldwide license for the seed strain of SRL 172 for TB prevention. A new, scalable method of manufacture was developed by Aeras (Rockville, MD) and an initial batch of GMP vaccine prepared. The vaccine product, now designated DAR-901, is the most advanced and promising candidate in the global portfolio. Pre-clinical studies completed include tuberculosis challenge study indicating DAR-901 is superior to BCG booster (Lahey et al, PLoS One, 2016). Why is DAR-901 the most promising new TB vaccine? DAR-901 represents a new scalable manufacturing method for SRL 172 developed by Aeras to permit manufacture in commercial quantities at reasonable cost. DAR-901 represents an entire bacterial organism and includes thousands of different antigens to stimulate a broad immune response. An animal challenge study published in late 2016 showed that a DAR-901 booster provided greater protection against TB than a BCG booster. All subjects completed 3 injections of vaccine or placebo by March 2017 confirming the safety and tolerability of immunization. 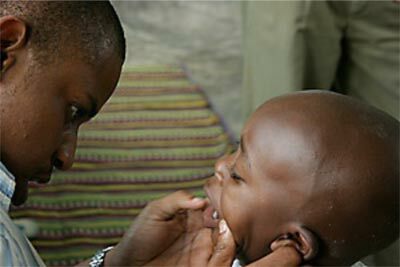 The DarDar Tuberculosis Vaccine Trial was sponsored by the National Institutes of Health and conducted from 2001-2008 among 2,013 HIV-infected volunteers in Dar es Salaam, Tanzania. Subjects were adults with CD4 counts >200 and childhood BCG immunization and were randomized 1:1 to receive 5 intradermal doses of inactivated SRL-172 (an environmental non-tuberculous mycobacterium) or identical placebo. In the process of screening asymptomatic subjects for active tuberculosis the study team identified the new clinical entity of subclinical tuberculosis. The trial was stopped by the Data and Safety Monitoring Board when the vaccine was judged to have shown efficacy based on a trend in protection against the primary endpoint of disseminated tuberculosis and a statistically significant reduction in the secondary endpoint of definite culture-confirmed tuberculosis. The main effects manuscript was published in AIDS in 2010 and the immunogenicity manuscript in Vaccine in 2010. The trial supports the concept of a polyantigenic vaccine as an effective approach to the prevention of tuberculosis in HIV-infected adults. A broth manufacturing process for SRL-172 has been developed by Aeras for the vaccine now known as DAR-901. DAR-901 has been added to the Aeras TB vaccine portfolio and is in a Phase I trial in the United States. Kisali Pallangyo MD. Professor of Medicine, MUHAS, emeritus Vice-Chancellor was the site PI for the DarDar SRL172 trial. The DarDar Pediatric Program (DPP) was established in 2006 – structured as a collaborative clinical program for the care of HIV-infected and exposed children in greater Dar es Salaam. DPP supports large-scale HIV care and treatment, Prevention of Mother to Child Transmission of HIV (PMTCT), HIV early infant diagnosis (HEID), broad educational opportunities, and a growing portfolio of research activities. Founded as a collaborative program between Dartmouth Medical School (DMS) and Muhimbili University of Health and Allied Sciences (MUHAS), DPP was the recipient of construction and operational funding from the Foundation for the Treatment of Children with AIDS (FTCA – see associated article). Additional operational support continues through the PEPFAR program (President’s Emergency Program for AIDS Relief) and from numerous research grants. Following the initial occupation of a temporary clinic facility in April 2006, DPP moved into its new clinic located at the Infectious Disease Center (IDC) in central Dar es Salaam, built with FTCA funding, in June 2007. DPP is a unique clinic in Tanzania in that it primarily features HIV prevention and care for the pediatric population. Engagement of pediatric HIV care globally has generally lagged behind care for adults in the large treatment roll-out programs to date. DPP’s dedicated HIV clinic for children with its pediatric-trained staff has attracted considerable interest in Tanzania as a model and an effective strategy to help address pediatric implementation deficits. DPP provides HIV and TB diagnostic evaluation and treatment for children from the newborn period through 14 years of age. Over 1,300 children have received care at DPP since opening in 2006. Of these, 550 receive ongoing care for HIV infection with 400 eligible for and receiving specific HIV medication (by Tanzanian national guidelines). In addition, DPP also offers care and treatment for HIV-infected parents of children in its program – now totaling 226 adults (primarily mothers) who receive comprehensive HIV/ AIDS care and treatment. This has resulted in a family-centered care option featuring pediatric index cases. DPP is the only pediatric-specific clinic for HIV care in Dar es Salaam, serving as a model and educational resource for other programs and their clinical staff. DPP is also a popular destination for student and training internships supporting a wide range of scholars including undergraduates, graduates, medical students, and faculty from both Tanzania and the Dartmouth community. In addition, DPP is the site of numerous research activities. DPP has a professional, experienced, pediatric-focused staff which provides comprehensive care. Leadership is provided in Dar es Salaam by Dr. Helga Naburi (Medical Director) and Dr. Goodluck Lyatuu (Clinic Medical Director) and from Dartmouth by Dr. Lisa Adams (Director) and Dr. Paul Palumbo (Executive Director). DPP staff is comprised of physicians, nurses, pharmacists, and data managers and other support staff. This leadership and staff are committed to high quality pediatric care and the associated goals of education and research. 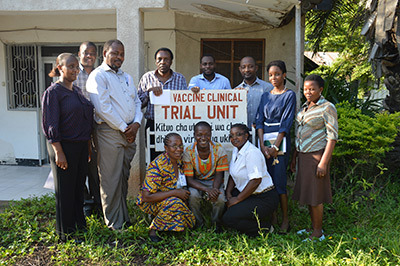 In the first three 5-year NIH training grants with Tanzania faculty from Dartmouth and Boston University School of Public Health provided degree training, short term training, and research conferences on HIV and TB to hundreds of Tanzanian researchers and health care workers. A total of 15 Tanzanian physicians have completed MPH degrees at The Dartmouth Institute, 2 have completed Masters Degrees in Epidemiology at Boston University and 4 Fogarty Fellows have completed doctoral programs at Dartmouth or BU in basic science or biostatistics. The many Tanzanian alumni of the DBU Fogarty training programs have provided key personnel for the numerous collaborative epidemiologic studies and clinical trials conducted as part of the DarDar collaboration. In the most recent 5 year cycle the training grant led to the development of a Tuberculosis Research Institute at MUHAS (TRIM-TB). This institute became the foundation for the broader vision of an overall Infectious Disease Institute (IDI) at MUHAS which will be the focus of the next 5 year training cycle. Further details is available here.